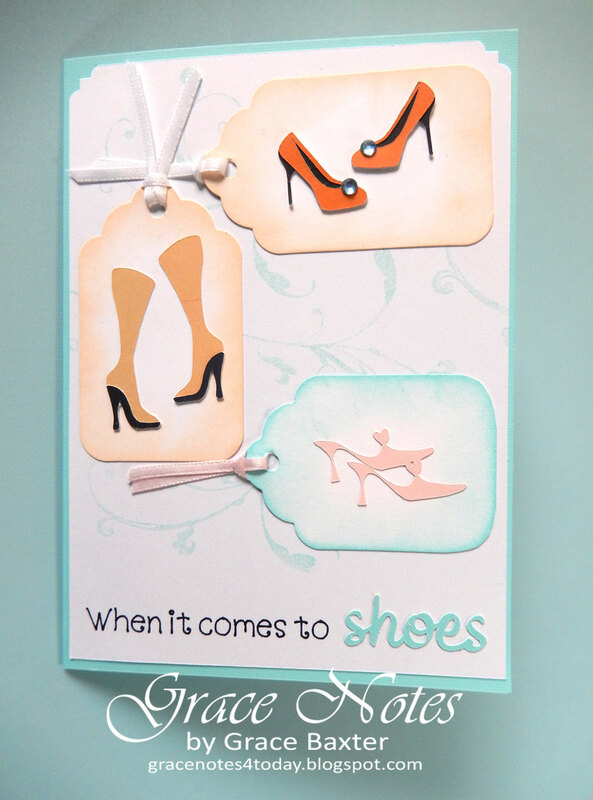 If your recipient loves stylish shoes, this is the card for her! 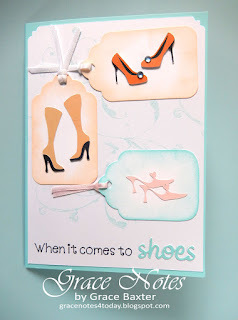 Heels, dressy boots and slip-on shoes are a few pairs that make this card fun. 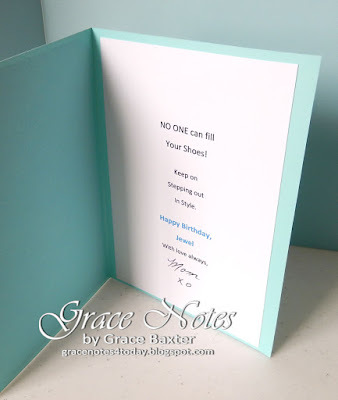 For my verses, I like writing something unique for the birthday person that speaks to them. Each pair of shoes is displayed on a tag with ribbon. 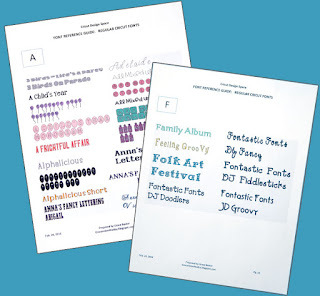 Sentiment on the front was printed in Design Space. The word "shoes" was cut from the same turquoise cardstock as the base. As always, the thought process took longer than the actual construction of the card. Some of you card makers can relate.